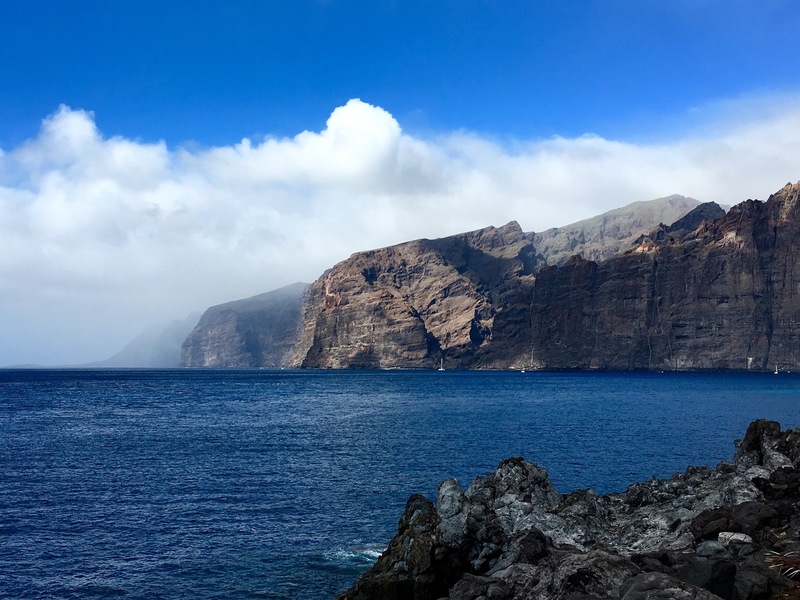 Los Gigantes cliffs with cloud to the north. "I’m starting to think the weather people have just got to the point where they’re saying ‘it’s got to change this week’; I know we feel a bit like that. This has been an incredible January, but is this the week it’s going to go back to normal? It looks like it will remain sunny everywhere through to Wednesday. After that the south and south west could be very cloudy whilst the north and east could see sun, with some cloudy spells, for a day longer. From Friday it might be thick cloud across the island. There’s a strong possibility of rain on Friday and Saturday. Even so, there still should be sunny spells over the weekend. Any takers for snow on Teide this week?"